Vladimir tries his hand at ruling the Rus and decides that his people need a new religion. 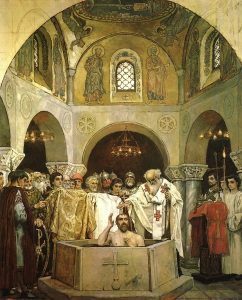 Vladimir is baptized in Kherson. 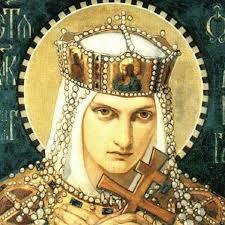 The unhappy wife, Anna, of Vladimir. Liked it? Take a second to support Therealmiddleages on Patreon!